As a key component of the new Dell EMC Cloud Marketplace, Dell EMC’s Data Protection solutions enable customers to meet service level requirements for backup and recovery as they adopt a multi-cloud operating model as part of IT Transformation initiatives. 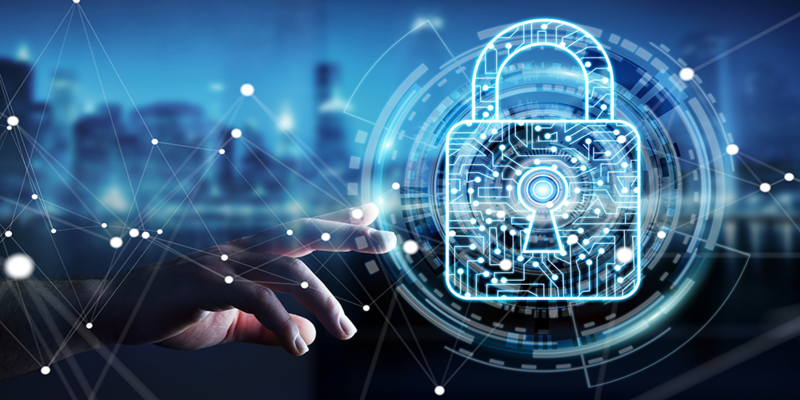 We’re introducing new updates for Data Domain and Data Protection Suite (DPS), further enhancing our hybrid and multi-cloud data protection capabilities to help customers reduce costs, risk of data loss and improve their operational management efficiencies. Traditional applications, cloud native applications, and IoT/edge devices are generating a tsunami of data residing in multiple clouds that needs to be effectively protected. With new protection products and capabilities for the cloud and for your physical data center – particularly VMware environments – Dell EMC is further expanding your ability to achieve simpler, easier to manage data protection, on-premises and in the cloud. Data Domain and Data Protection Suite (DPS) together already provide a complete and comprehensive data protection solution for enterprises and these new updates are designed to help you embrace data protection in the cloud, improve IT efficiency with management and virtualization enhancements, and expand confidence that enterprise data is protected based on comprehensive coverage. New updates to Dell EMC Data Protection Software and to DD OS 6.1.2 across DD VE & Data Domain appliances! Data Domain Virtual Edition (DD VE) 4.0 now brings unprecedented scale and cost effectiveness to software-defined protection storage in Amazon Web Services (AWS), Microsoft Azure, and VMware Cloud on AWS environments. DD VE leverages the power of DD OS and is available to run on-prem or in the cloud with DPS. This software-only solution can be downloaded, deployed and configured in a matter of minutes.With DD VE 4.0, you can now run up to 96TB DD VE instances on AWS, Azure or the VMware Cloud, which allows you to protect a significantly larger amount of deduplicated data directly in the cloud. Capacity can be easily moved between cloud deployments, virtual instances and/or locations, and can be purchased in 1TB increments. This flexibility allows customers to grow capacity as the business demands it. Run Data Domain Virtual Edition and Data Protection Software in the cloud! DD VE 4.0 can back up via less expensive object storage, delivering increased efficiencies and a lower cost-to-protect. By running DD VE with DPS in the cloud, our customers can leverage a simple-to-deploy, software-only solution that will make it easier and more cost effective to protect applications in the cloud. Dell EMC provides a complete, software-only protection solution – directly in the cloud! Modern Management enhancements for Data Domain and Data Protection Suite are designed to further simplify and improve operations whether you are protecting data in the cloud or in your data center. One highly-requested feature in DD OS 6.1.2 is the ability to manage on-prem and in the cloud Data Domain deployments together. This hybrid management reduces operational costs across your environment, and empowers your entire IT organization with key insights. Manage any target, at any location! Data Protection Suite has also further enhanced modern management across your data protection software and protection storage by simplifying the experience for backup and recovery of VMware images, applications and file systems with an enhanced HTML 5 UI. Data Domain Cloud Disaster Recovery (CDR) has been enhanced for application-consistent cloud disaster recovery in AWS, as well as Recovery to VMware Cloud on AWS. DD CDR saves CAPEX costs by reducing the need to build additional data centers for disaster recovery and with these new enhancements further improves the viability of public cloud disaster recovery options. Cloud Snapshot Manager, a SaaS offering, now extends to Microsoft Azure as a multi-cloud solution, making it easier for customers to protect public cloud workloads in both AWS and Azure. Customers can quickly discover, orchestrate and automate the protection of workloads across multiple clouds and regions based on policies for seamless backup and disaster recovery, using one SaaS tool that does not require installation or infrastructure. Data Domain Cloud Tier has further reduced transactional overhead for long-term retention by increasing the object size written to cloud. And, data storage utilization has been improved thanks to tight integration with Virtustream Storage Cloud and Dell EMC ECS. As a lower cost option for DD Cloud Tier, new support for AWS Infrequent Access & Azure Hot Blob Storage (including Government Cloud) have been added to the number of public and private clouds supported for long-term cloud retention. VMware vCloud Director and Dell EMC Data Protection Suite have greatly enhanced their integration, making it easier for service providers to jointly deliver VMware and Data Protection-as-a-Service. Our leading VMware integration extends data protection into the vCloud Director tenant UI. This eliminates the need for a separate Backup-as-a-Service portal. Now cloud service providers with multi-tenant VMware environments can offer their customers robust, integrated data protection with a best-in-class user experience. Plus, service providers and their customers benefit from Dell EMC Data Protection’s proven low operating cost and high scalability and performance. DD OS 6.1.2 brings an increased boost in performance by leveraging an enhanced data cache when instantly accessing and restoring VMs. Backup validations and test/dev backups are now made even more efficient with a 4x increase in IOPS – Data Domain can now deliver up to 40,000 IOPS with under 20 milliseconds of latency using DPS. Those leveraging DPS will also find it easier to find and restore files via file-level search. Self-Service with SLO Compliance Automation has been expanded to Oracle in the latest DPS release. High-performance, self-service protection for Oracle databases, now includes rule-based automation, governance and SLO compliance controlled by the backup team, so they can ensure that mission critical data is being backed up by DBAs in compliance with enterprise policies. Hyper-V Performance Improvements in DPS have been implemented by utilizing Microsoft’s change block tracking technology. DD VE has expanded its hypervisor ecosystem to include support for KVM, in addition to EXS and Hyper-V. The DD Boost File System (BoostFS) plug-in has now been extended to support Windows applications in addition to Linux. With many enhancements across our Data Domain and Data Protection Software offerings, Dell EMC continues driving innovation without compromise. Make sure your organization is completely protected by choosing Dell EMC’s #1 solution. Now is the perfect time to connect with your local rep about purchasing new deployments or upgrading to a complete Dell EMC Data Protection solution to take advantage of all of these announcements and our full cloud data protection capabilities.